The Plank Space Observatory has recently aided scientists by making the most detailed map ever seen of the Cosmic Microwave Background (CMB). This image shows a ‘baby picture’ of the universe and revises the age of the universe making it a little older than scientists have previously thought. 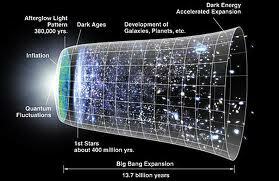 The CMB is background radiation (pictured above) left over from the early stages of the universe, showing the universe as it was about 380,000 years after the big bang. At that time, the universe was still a dense soup of basic particles such as electrons, photons, and protons – all ‘boiling’ at a temperature of 2700 Celsius. 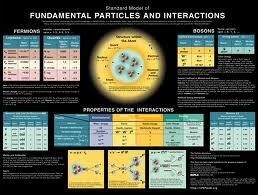 Here, the protons and electrons started to combine into hydrogen atoms, this processed released the photons. As the universe continued to expand, the light redshifted to the microwave side of the electromagnetic spectrum, today, we can detect those microwaves, which give the universe an equivalent temperature of 2.7 degrees above absolute zero. One of the many benefits of observing the CMB is the ability to see tiny temperature fluctuations (corresponding to different densities) of the very early universe. This naturally affects the large scale construction of today’s stars and galaxies. Thus, understanding the early universe is pivotal to understanding what we see today. This is where the Plank Observatory comes in. Plank was originally designed to map the fluctuations that are seen in the CMB that occurred in the inflation period of the universe that happened shortly after the big bang. In addition to clarifying our current understanding of cosmology, this new map confirms the standard model of cosmology and helps to prove the models accuracy. 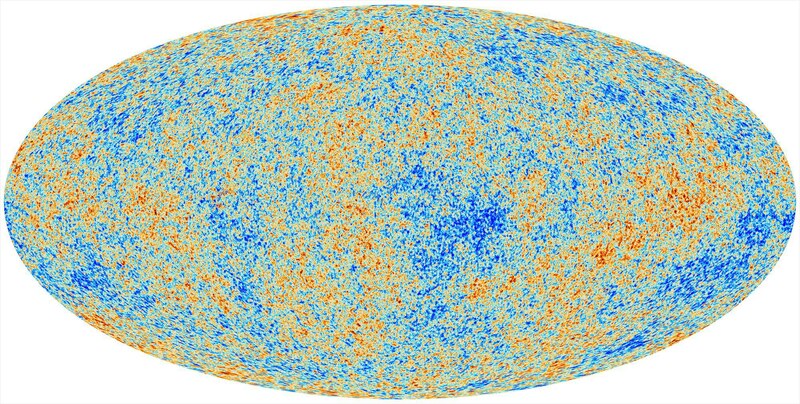 There are also some new, as-yet unexplained features seen on the new CMB map that some scientists believe will need new physics to understand. Of course, after I praise the accuracy of the standard model of cosmology, now I’ll turn right around and rebuke it. There are several features seen in this map that don’t match up with our current models. One such feature is the specific fluctuations seen in the CMB at large angular scales. Here, scientists see signals much weaker than we had previously expected. In attrition, the average temperature of the northern hemisphere of the universe differs from that of the southern, which is contrary to the prediction that the universe should be very similar despite the direction we look. Another anomaly is a confirmation in the existence of a rather large, asymmetric, cold spot seen in the map taken by the WMAP mission from NASA. The cold spot was originally regarded as an artifact WMAP’s sensors and thus thought of more-or-less as an error. Now, with better, more concrete, and more accurate information, the reality of these anomalies is coming home. Even with the kinks in our models, the Plank map goes a long way to confirming our expectations – at least revealing that we are on the right track. 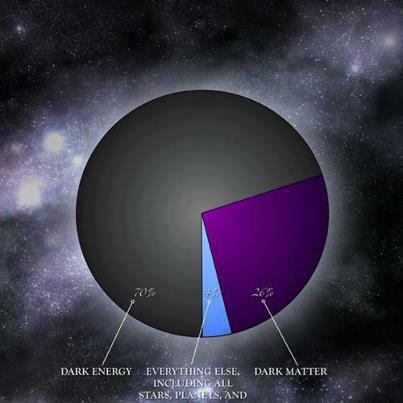 In addition, the map goes to revise our understanding of what the universe is made of, the ratios between normal matter, dark matter, and dark energy. Here, Plank shows us a universe made of 4.9% normal ‘visible’ matter (in contrast to 4.5% seen in WMAP), 26.8% dark matter (in contrast to 22.7%), and 68.3% dark energy (in contrast to 72.8%). The Plank measurements also place the age of the universe at 13.81-billion years old, in contrast to the 13.7-billion seen in the WMAP mission. One of the most exciting thing about all of that data is that the revised numbers are within the margins of error of the old numbers – so, we’re very much on the right track to understanding the universe at large.